Air New Zealand is showing flights from Toronto to Sydney, Australia or Auckland, New Zealand for $987 CAD roundtrip including taxes. This is about 40% below the typical best roundtrip prices from Toronto to New Zealand. It's pretty common for these flights to bottom out in the $1600s roundtrip. 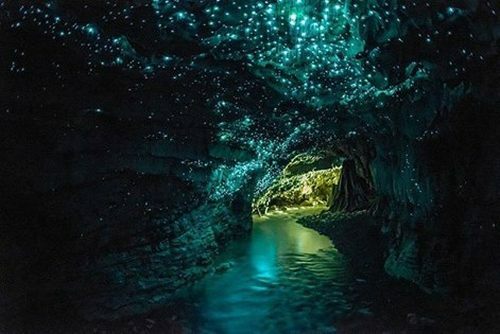 Some desirable December dates (New Zealand's summer) are available in the $900s. Flights under $1000 roundtrip from August 2016 to January 2017. Flights in the low $1000s roundtrip between February 2017 and May 2017. Try Wed to Tue dates in Jan/Feb/Mar/Apr/May 2017. Some are in the low $1000s. 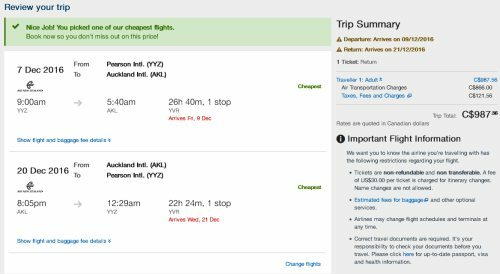 One Response to "Toronto to Auckland, New Zealand - $987 CAD roundtrip including taxes"